If you were asked to name Borussia Dortmund's key player this season, who springs to mind first? Christian Pulisic, Marco Reus, or perhaps even Sokratis might make the list - but Lukasz Piszczek? As unlikely as it may seem, the Polish right-back has been more influential than you might think. BVB's season so far can be divided into three distinctive parts: a seven-game unbeaten start under Peter Bosz, eight subsequent games without a win that led to the Dutchman's departure and then the arrival of Peter Stöger and 11-game unbeaten streak since. A closer analysis of those three periods delivers a revealing truth bearing the name of a certain defender: Piszczek. The 32-year-old played each one of those opening seven games – a period in which Dortmund conceded just twice - before tearing ligaments in his knee. While he was sidelined, Dortmund simply could not win, and he never got to play for Bosz again. 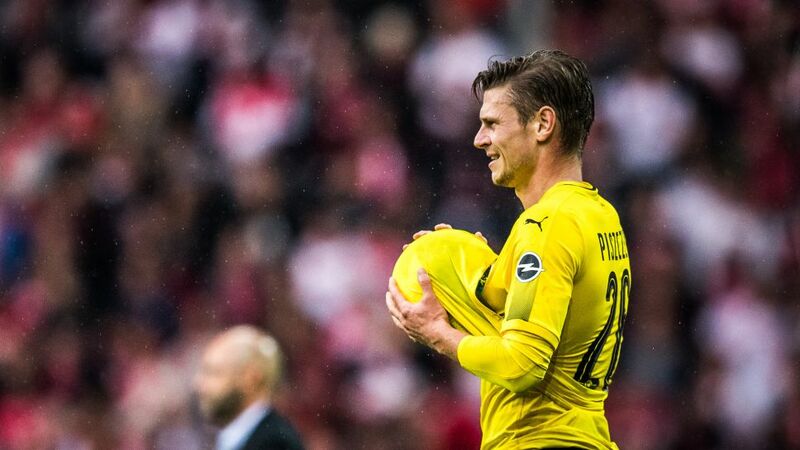 Since Piszczek has returned, however, Dortmund have not been beaten. All in all, Piszczek's record this season reads 16 appearances, 10 wins, six draws and zero defeats. He is BVB's points guarantee. With Piszczek in the team, Dortmund are now on a 31-game unbeaten streak. The last time they lost a game with him in their side was on 26 November 2016 against Eintracht Frankfurt – 463 days ago. They have gained 71 points, at an average of 2.29 per game, with Piszczek in their team. "We're missing them like a fish misses water," said Dortmund's CEO Hans-Joachim Watzke of the combined absence of Piszczek and Reus in December. And while Reus' recent comeback from injury was greeted with a great deal more fanfare than Piszczek's, the latter's influence should not be overlooked – even if the player himself may not agree entirely. "I don't think the team are reliant on me," Piszczek said during the winter break. "It's a combination of things which have come together and led to things not going as they should, but I don't think my injury played a major role – well, maybe just a bit." Just a bit? With all his Bundesliga and international experience, garnered since his debut Dortmund season in 2010/11, in which he lifted the title under Jürgen Klopp and became a key figure of the current Liverpool manager's blueprint for success, Piszczek is proving to be equally irreplaceable in the current Black-and-Yellows team. While he was on the treatment table, Dortmund's defence was regularly ripped apart by the opposition: 22 goals were shipped in those ten games, which brought five defeats, three draws and just two wins. With Piszczek back in action, goalkeeper Roman Bürki has been able to celebrate keeping three clean sheets in nine games, while the side has let in just 11 goals in the 16 games Piszczek has played in. Coincidence? Unlikely. Which is good news for Dortmund now that the 59-time Poland international, who on 13 March signed a new deal that will keep him at the club until summer 2020, is fit and in top form once more.